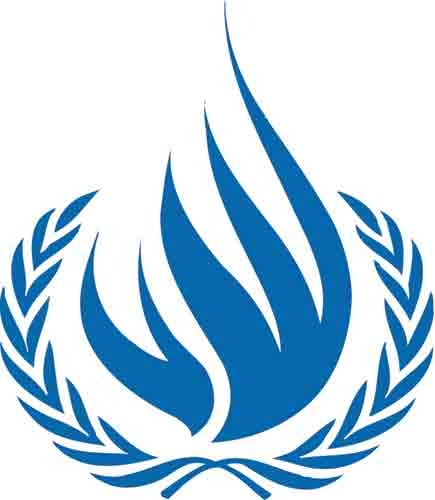 GENEVA (March 21, 2016) – The UN Committee on Enforced Disappearances has published its findings on the countries it examined during its latest session, which took place from the 7th to the 18th of March. One of the countries highlighted in the report is Tunisia. The findings, officially termed “concluding observations”, contain positive aspects of the respective State’s implementation of the International Convention for the Protection of All Persons from Enforced Disappearance as well as main matters of concern and recommendations. The Committee encourages the State party to expedite the procedures on making the declarations set out in articles 31 and 32 of the Convention, which relate to the Committee’s competence to receive and consider individual and inter-State communications. The Committee recommends that the State party expedite the adoption of the draft law governing the independent human rights institution provided for in article 128 of the Constitution and guarantee that the new institution is in full compliance with the Paris Principles. The Committee recommends that the State party take the legislative measures necessary to specifically incorporate into domestic law an absolute prohibition of enforced disappearance, in line with article 1 (2) of the Convention. (a) Enforced disappearance is incorporated into domestic law as an autonomous offence. (b) Enforced disappearance as a crime against humanity. The Committee recommends that the State party take the legislative measures necessary to ensure that domestic law specifically provides for the criminal responsibility of superiors. In the light of article 8 of the Convention, the Committee recommends that the State party adopt the legislative or other measures necessary to ensure that the term of limitations for criminal proceedings in respect of enforced disappearances not covered by Organizational Act No. 53 is of long duration and proportionate to the extreme seriousness of the offence and, taking into account the continuous nature of enforced disappearance. The Committee, recalling its statement on enforced disappearance and military jurisdiction, recommends that the State party take the legislative to ensure that cases of enforced disappearance are expressly excluded from military jurisdiction and can only be investigated and tried by the competent civil authorities. (d) All persons who have suffered harm as the direct result of an enforced disappearance receive adequate reparation that includes the means for their rehabilitation and takes account of gender issues, as well as prompt, fair and adequate compensation. In this respect, the Committee also recommends that the State party: (a) continue ensuring that all the organs responsible for the investigation into the cases of enforced disappearances covered by Organizational Act No. 53 of 24 December 2013; and (b) take the necessary measures to guarantee that all public entities cooperate with these organs. The Committee recommends that the State party adopt the measures necessary to ensure that all persons referred to in article 12 (1) of the Convention are protected against any ill-treatment or intimidation. The Committee recommends that the State party adopt the measures necessary to ensure in law and in practice that the principle of non-refoulement enshrined in article 16 (1) of the Convention is strictly respected in all circumstances. The Committee recommends that the State party adopt all the measures necessary to ensure that all persons deprived of liberty, irrespective of the offence they are accused of. (b) A comprehensive, gender-sensitive system of reparation and compensation that is fully in line with article 24 (4 and 5) of the Convention and other relevant international standards. The Committee recommends that the State party adopt the legislative measures necessary to make the actions referred to in article 25 (1) of the Convention specific offences. The State party is encouraged to widely disseminate the Convention, its report submitted under article 29 (1) of the Convention, the written replies to the list of issues drawn up by the Committee and the present concluding observations, in order to raise awareness among the judicial, legislative and administrative authorities, civil society and non-governmental organizations operating in the State party and the general public.